The cereal boxes! 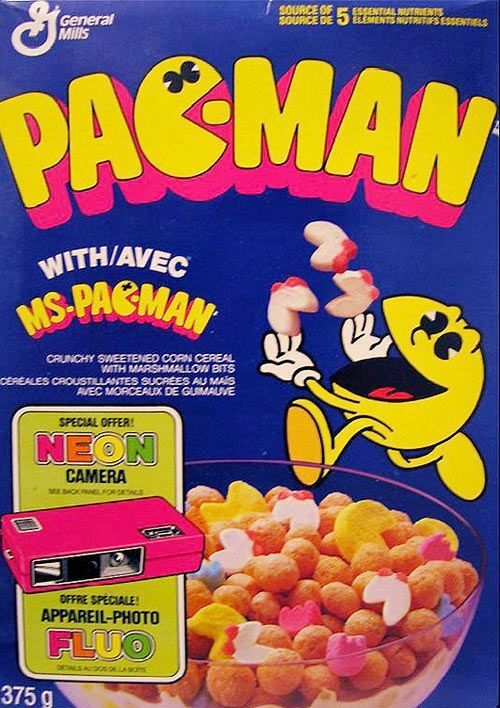 We love them a lot, especially because the back of the cereal boxes always had something interesting for us. From cardboard cars and cartoon characters to comic stories, jokes, and puzzles etc., we loved to flip a cereal box around and see the other side. Not that the front side of the same funny cereal boxes is any less attractive or engaging. The use of colors, graphics, design, and words etc. seem to be all geared towards achieving the maximum custom attention and engagement. Many people do not know that the cereal companies hire graphic designers, creative artists and writers to create a particular image of the cereal box for the people who appreciate good jokes, riddles, quotes, good design, craft, and colors etc. What if I tell you that if not in near future, somewhere in the future the big or mini cereal boxes that you treasure, will become obsolete? Well, it will not be because cereal will be skipped from the breakfast, but because the cereal boxes will lose their effectiveness to the standup pouch bags. The cost of cereal boxes will prove to be the biggest turn-off. The cereal boxes are made of cardboard and each cardboard box costs from 30 to 35 cents. This definitely does not look much but when you imagine getting hundreds of thousands of boxes for your product, it becomes a big amount. In comparison to this cost there comes the standup pouch; this standup pouch bag made of equally biodegradable materials will cost only from 15 to 20 cents. This means that at each bag you will save roughly 15 cents. Again, this seems to be a small saving, but when you think of getting hundreds of thousands of bags, it turns up to be a big saving. We humans have already done a lot to destroy the balance of this planet’s eco-system. The resources and the materials involved in making those small cereal boxes, simply make them less biodegradable and recyclable. Why? It is because more than one different materials and complex processes make a product hard to biodegrade and be recycled. To the contrary, the standup pouch bags made of paper are simple products. They can easily be recycled and they are fast to biodegrade. The cardboard cereal boxes are safe but once they are recycled and the material is used to make the same product again: a cereal box, research says that those cereal boxes are actually not safe to pack food products. The recycled cardboard may have some chemicals added to it that may penetrate into the food packed inside it and thus make it dangerous for humans, especially kids. All of us know that the ‘P’ of packaging is now considered one of the most important ‘P’s of the marketing. This is why all companies go for customized packaging. However, the observation proves that cardboard boxes’ cubic shape and solid stature do not allow them to have the maximum reach to the customers. To the contrary, the standup pouch bags have an arch-like front shape that is more visible and also they do not have to sit in the shelves; they can also be hung to the ceiling or the walls. So, based on these reasons and a few others, it can be predicted that the age of cereal boxes will be over in future.